Not sure what to submit? Click the video below. Each image must be 300dpi & under 10mb. Limit 3 images per entry. Indian Motorcycle has announced the semi-finalists of The Wrench: Scout Bobber Build Off contest. Sketches and renderings from 12 non-professional builders are posted and available for a fan vote until April 19. Fans can vote daily. After voting closes on the 19th, three finalists will be announced on April 24. The three finalists will win a 2018 Scout Bobber and a build budget of $10,000 from Indian Motorcycle. All three builds will be unveiled in July where the final voting will take place to crown the champion, who will be announced at Sturgis and win a grand prize of $10,000. Below are the 12 semi-finalists and a link to download each of their renderings and sketches. Nobody has ever accused Ryan of slacking off. As a father of three and owner of a financial firm, he started a small co-op garage for himself and a few of his buddies. As if all of that wasn’t enough, Brian wants to build a full custom-framed Scout Bobber for The Wrench. Judging by his design and current workload—he doesn’t plan on sleeping much. (Manheim, PA) February 12, 2018 – How would you like to score a HUGE list of parts and accessories for you AND your Motorcycle? You can, if you enter the Garage-Girls Ultimate Biker Makeover 2018. “We want everyone to share the projects they have in their garage, by tagging us on Instagram and FB and using this hashtag #whatsinyourgarage. This helps us all celebrate what we are all so passionate about, the fun toys in our Garage. 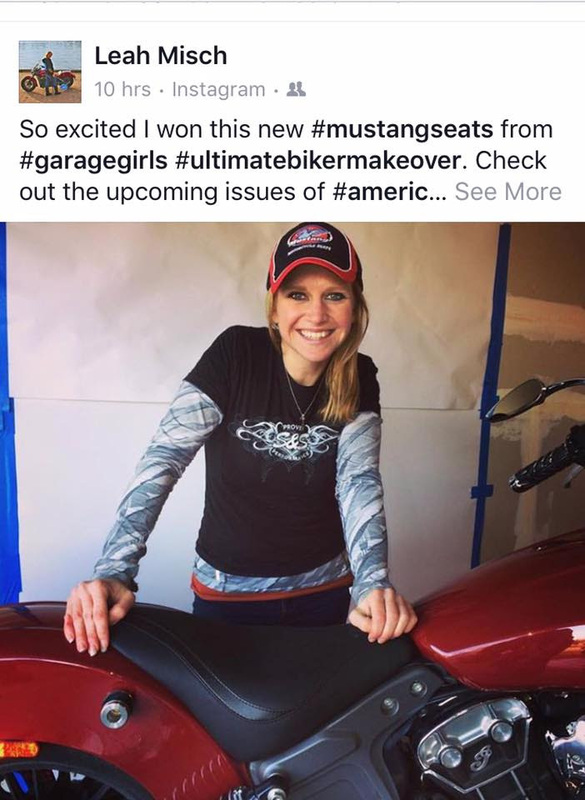 At the same time we will be showcasing all the goodies they COULD have in their garage if they are selected winner of the 2018 Ultimate Biker Makeover” states Sara Liberte, founder of Garage-Girls.com “We will also be encouraging our sponsors to take part and share one or a few of their favorite toys in their own garage.”The focus of the Garage-Girls Ultimate Biker Makeover is to “Hook a Rider Up”! We have all come across those riders with worn tires, brakes and busted parts and thought “ya know, that just isn’t safe.” When approached we usually hear the same response “I just don’t have the money.”At Garage-Girls we want to keep fellow riders on the road and we want to keep them safe! TO ENTER; Contestants (Girls and Guys) must submit a 600 words or less essay – describing why they are most in need of a biker makeover as well as a photo (jpeg no larger than 5mb) to bikermakeover@garage-girls.com Deadline for entries is June 22nd, 2018. Submissions will be narrowed down to the final four by selected judges from Garage-Girls. From there, the judges will decide who they feel most deserves the Ultimate Biker Makeover and will get to take home all the prizes which include; A wardrobe of shoes from Harley-Davidson Footwear, a case of full synthetic oil from Spectro Oils, goodies from S&S Cycle Inc., tires, riding gear and much more! Manchester, CT (March 16, 2017) – Hot Leathers, the industry leader in motorcycle apparel and accessories and the world-famous Buffalo Chip have teamed up with some big names in the motorcycling world for their Win a Trip to the Buffalo Chip Contest. One lucky contestant will win 10 nights of camping and concerts at the world-famous Buffalo Chip during the 2017 Sturgis Motorcycle Rally in August. For the chance to win the trip of a motorcycling lifetime, just go to www.hotleathers.com/contest and enter now! 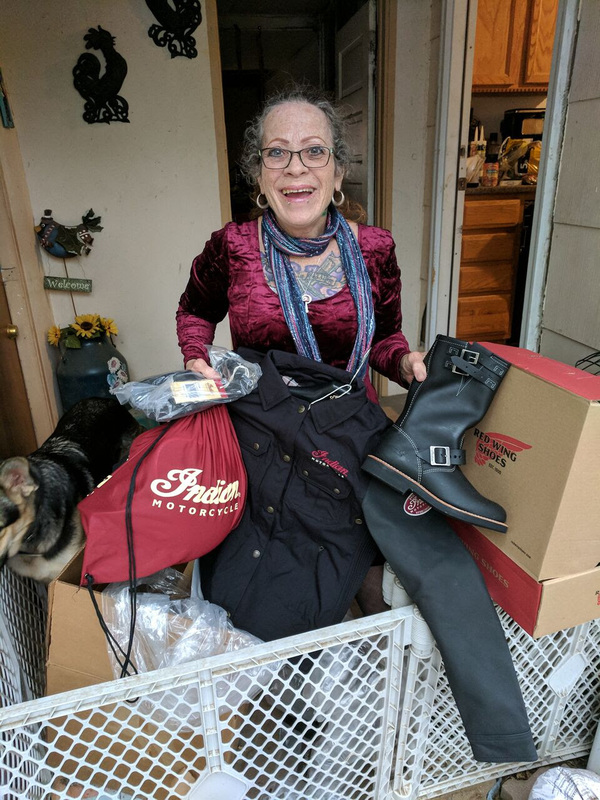 Hot Leathers has been serving the motorcycle community for more than 30 years and is the leading motorcycle apparel and merchandiser in the country. Want to stay updated on all the Hot Leathers events and specials? Want to follow the Hot Leathers trailers around the country and get first glimpses at Officially Licensed Merchandise? Then be sure to “Like” Hot Leathers on their Facebook Page: https://www.facebook.com/hotleathers. You can also follow them on Instagram: https://instagram.com/hotleathers.